Does the Bible teach predestination? 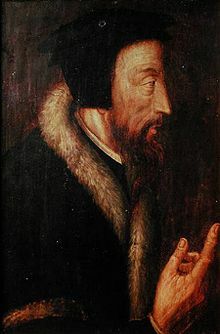 John Calvin was a 16th century Protestant Reformer who had his views on it. What is five point TULIP Calvinism? Does the Bible teach this or is TULIP Calvinism in conflict with scripture? Is it something that a God of love would come up with? What about the 'age to come'? Does TULIP Calvinism seem racist? Dr. Thiel explains each of the five points of Calvinism and provides scriptural quotes that are often in conflict with it. Newer PostAre Investors Facing The Four Horsemen Of The Apocalypse? Older PostEzekiel 38 Gog and Magog War: Is it Soon?